Install the CMC on the computer or virtual machine that you use to administer the HP StoreVirtual Storage.  You administer the entire network of StoreVirtual VSAs from this CMC. 1. Start the CMC installer. 2. Follow the steps in the installation wizard. 3. When the installation completes, HP is added as a separate Program Group and a shortcut icon is added to the microsoft Windows desktop. 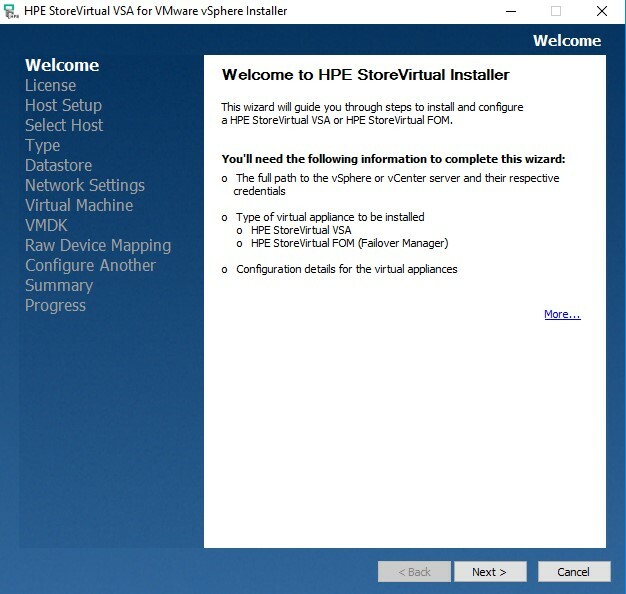 The HP StoreVirtual VSA for vSphere is pre-formatted for use with VMware vSphere. We have to install VSA on all the ESXi hosts. Download the StoreVirtual OS 12.5 from below link .And follow steps mentioned below to install and Configure VSA on vSphere Host. StoreVirtual VSA for vSphere virtual disks must be configured as independent and persistent to prevent VM snapshots from affecting them. The VMFS datastores for the StoreVirtual VSA must not be shared with any other VMs. Microsoft NET 3.5 on the installer client. 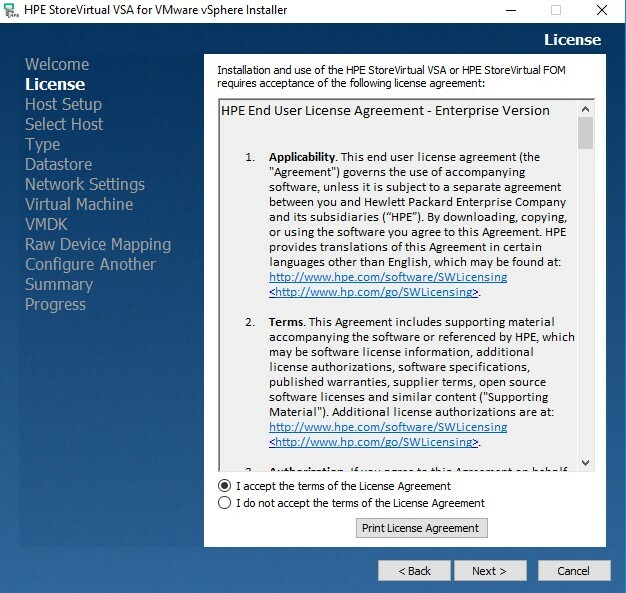 vCenter servers properly licensed before connecting to them using the HP StoreVirtual VSA for vSphere installer. 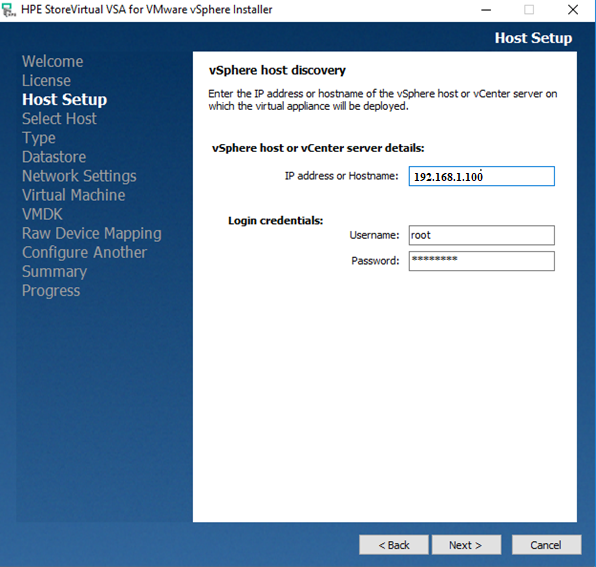 Configure the StoreVirtual VSA for vSphere to start automatically and first, and before any other virtual machines, when the vSphere Server on which it resides is started. This ensures that the StoreVirtual VSA for vSphere is brought back online as soon as possible to automatically re-join its cluster. Locate the StoreVirtual VSA for vSphere on the same virtual switch as the VMkernel network used for iSCSI traffic. This allows for a portion of iSCSI I/O to be served directly from the StoreVirtual VSA for vSphere to the iSCSI initiator without using a physical network. Locate the StoreVirtual VSA for vSphere on a virtual switch that is separate from the VMkernel network used for VMotion. 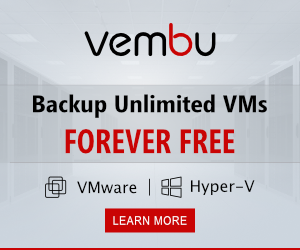 This prevents VMotion traffic and StoreVirtual VSA for vSphere I/O traffic from interfering with each other and affecting performance. Use of Microsoft Live Migration, Quick Migration, or snapshots on the StoreVirtual VSA itself. Use of any Hyper-V Server configuration that Microsoft does not support. Extending the data virtual disk(s), the first SCSI Controller in Hyper-V, of the StoreVirtual VSA while in a cluster. Create additional disks and hot-add them instead. Co-location of a StoreVirtual VSA and other virtual machines on the same NTFS partition. Running StoreVirtual VSA for Hyper-Vs on top of existing HP StoreVirtual Storage is not recommended.